Popular film star Nandamuri Balakrishna is currently busy with the most prestigious 100th film of his career, Gauthamiputra Satakarni. The actor turned MLA, who is on a small break from the film’s shooting, was in Hindupur this morning to participate in several events. 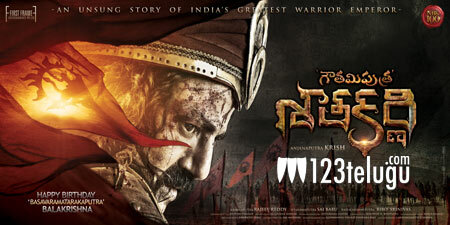 Interacting with fans and the media, Balayya announced his 101st film amid loud cheer. Balayya confirmed that Krishna Vamsi will be helming the project and that it has been tentatively titled Rythu. It is well known that this very project almost went on floors as Balayya’s 100th project before Krish’s Gautamiputra Satakarni made the cut. Balayya will be seen as a rythu leader in this rural based action drama. More details about this project will be revealed in the near future.